Yoga is an exercise that incorporates balance, breathing, and coordination into smooth movements or poses that “flow”. Teaching yoga to children with special needs is tricky. But there are definitely some amazing tricks to get the job done. 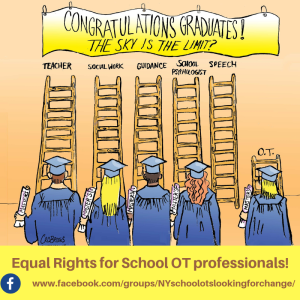 As an elementary school based OT, I often push into work with whole special education classes. 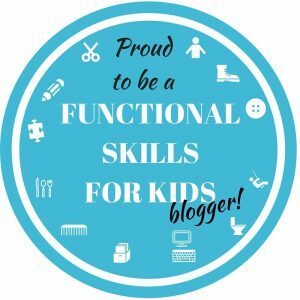 While every child is unique, the majority of the children need help with strength, fine motor skills, motor planning, coordination, and balance. Almost all of them struggle with following directions and staying focused. Sound familiar? 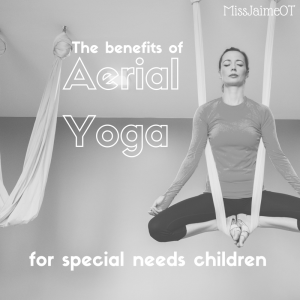 That’s why Yoga is my go-to activity for kids with special needs. It works on everything for everyone. Research shows that teaching yoga to children can help improve behavior, attention, focus, and social skills. Physically, it can increase a child’s strength, coordination, bilateral integration, and even fine motor skills. Yoga has TONS of therapeutic benefits for kids. 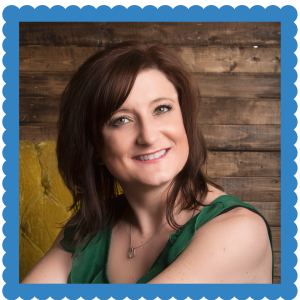 To learn more about WHY to teach yoga to kids, check out this post I wrote for MamaOT, called “The Therapeutic Benefits of Yoga for Children”. Social skills– Yoga is a non-competitive exercise, which is important when working with children who struggle with motor skills. Yoga simply asks for you to “do your best”. There are also many partner yoga poses that children can do together, encouraging socialization and fostering partnership. Attention– Studies show that doing yoga can increase a child’s ability to focus and reduce hyperactivity and other maladaptive behaviors. (Chan, A.S., Cheung, M., and Sze, S.L.). 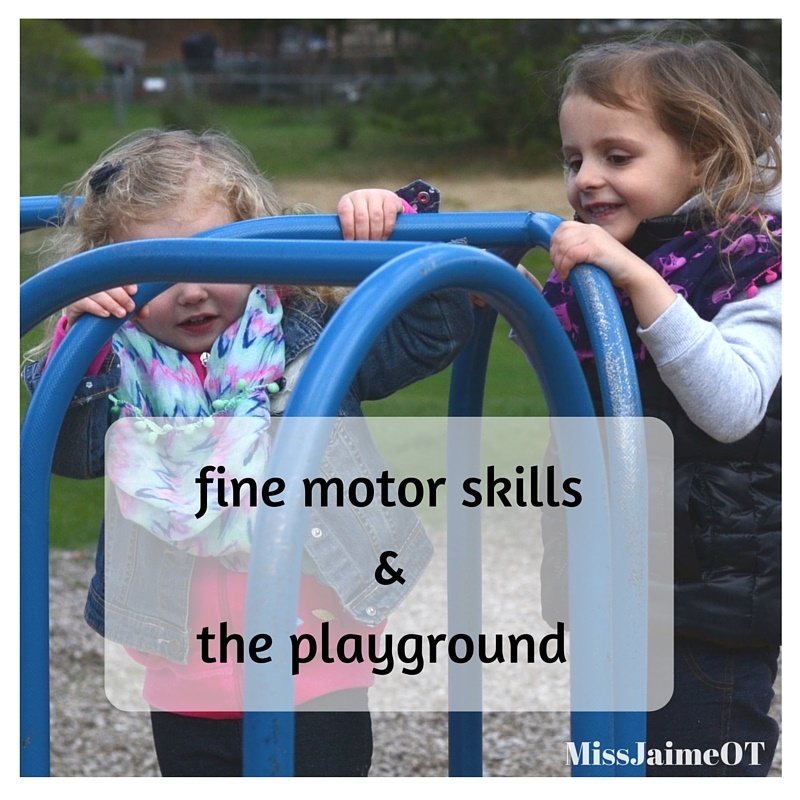 Gross motor skills – Yoga works on balance, coordination, strength, motor planning and so much more. It increases core strength and postural control, which children need in order to sit up straight in their chairs. 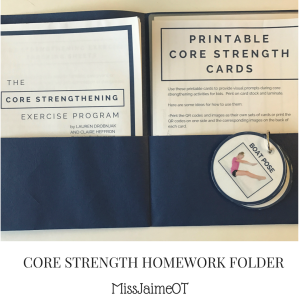 Core Strength is so important! 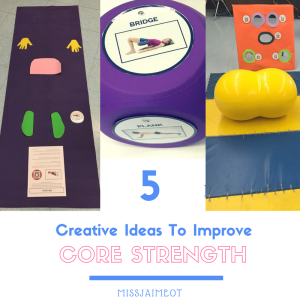 Fine Motor Skills – Many yoga poses encourage weight bearing into the hands. This helps to strengthen the muscles of arms, forearms, and hands. To make your sessions fun and engaging, change up the way you teach yoga. Books: There are tons of yoga books with stories that you can read that take you through each pose. 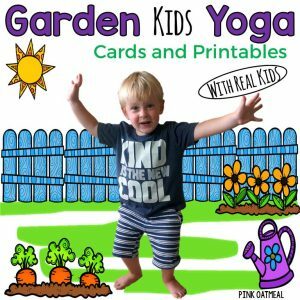 My personal favorite is ABC of Yoga for Kids. We go in order and choose one pose for each letter. 2. 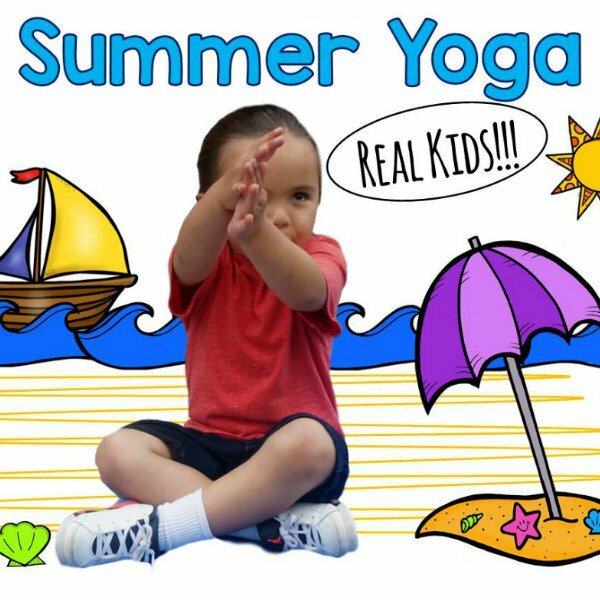 Youtube Videos: Simply put “Yoga for kids” into the search bar, tons of cool yoga videos pop up. 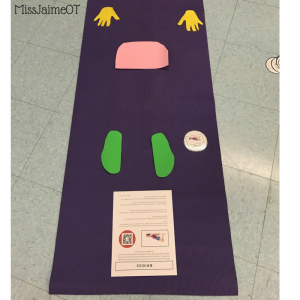 The kids at my school love this “Frozen Themed Yoga Story”. Put it on the smartboard or your ipad at home, and you’re all set. 3. 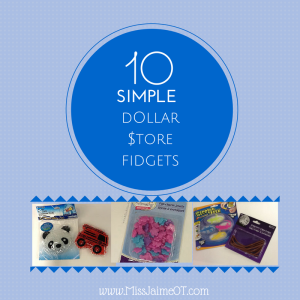 Yoga dice: My kids LOVE the Yoga Dice I made from some giant dice I bought at the Dollar Tree. I just photocopied pictures of some of the poses from one of my books and taped them onto the dice. The kids get to pick a die, roll it, and whatever pose it lands on, the whole class does together. 4. 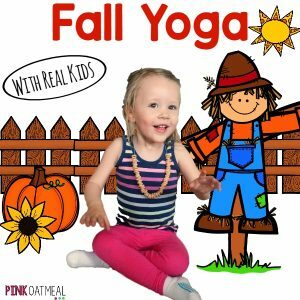 Season-Themed Yoga: I love to use the season themed yoga activities over at Pink Oatmeal to keep my sessions fresh and up-to date. The kids get excited that the pose is themed to the holiday, festivity, or upcoming event. Plus, it’s perfect for those days when the kids can’t concentrate because of the “Holiday Party” or upcoming vacation. 6. 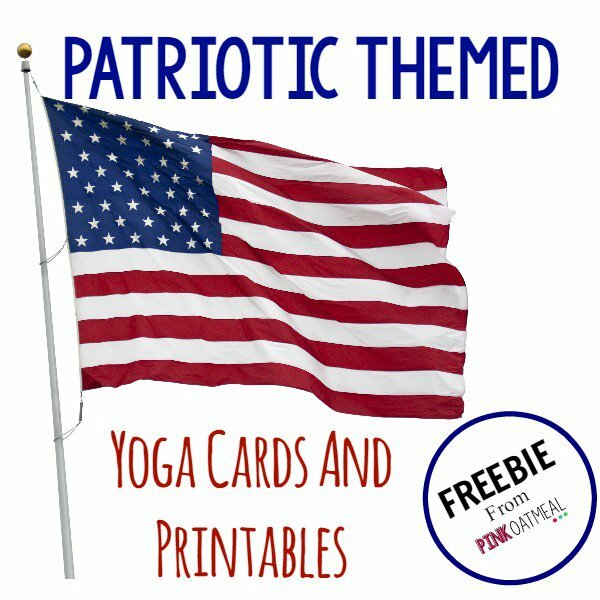 Yoga Cards: There are so many awesome yoga card sets. Plus, they are easy to transport (many of them fit in your back pocket). And, the kids can turn them over to discover the new “move” they will learn. Before you begin teaching yoga to children, you need to consider some important factors. 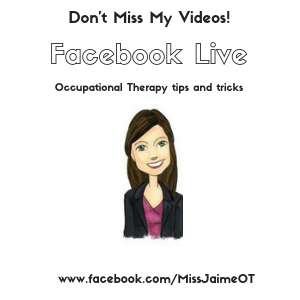 Calming or alerting – What kind of input are you trying to provide? What are the children able to do independently? What level should you start at? Sometimes you’ll have classes of children that are very hyperactive, loud, and unfocused. For these classes, set up your environment to invoke a sense of “calm”. In some classes, the kids are generally lethargic and difficult to alert. In that case, you want to provide an “alerting” environment to “wake” the kids up. use partner poses so children can socialize and work together. 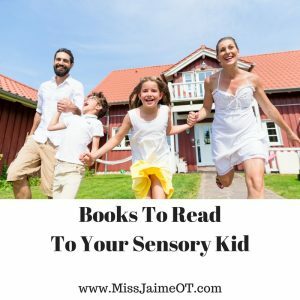 This is a suggestion in one of my favorite books, Sensory Processing 101. Kids LOVE Partner pose yoga! 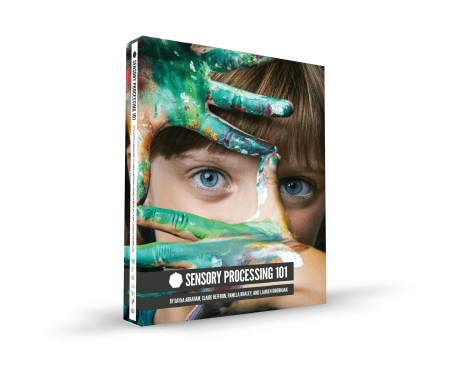 Sensory Processing 101 is a go-to resource for therapists, caregivers, and parents of children with Sensory Processing difficulties. 2. What CAN the children do independently? If the class has children with significant physical, cognitive, or attention issues, yoga is still an engaging class activity that addresses many different goals. For children with significant physical difficulties, obtain permission from the parents and/or physician. Yoga should be an added benefit to a child’s daily routine, so safety is imperative. Consider the amount of “teacher help” in the class. Are there several adults? Only two? This should impact your level of difficulty. For children with significant physical impairments, consider using chair yoga; even gentle stretching can help improve balance, coordination, and motor planning. 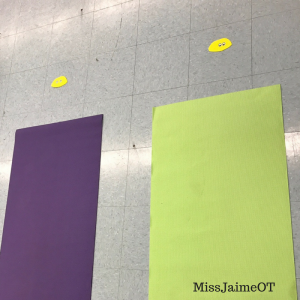 Make a “Drishti” for each child to look at during the yoga session. A simple picture or visual with an eye on it will do the job. Drishti in “yoga” refers to eye gaze. With children, emphasize that their eyes need to be focused in order for their bodies to remain balanced. First, demonstrate by having the kids stand on one foot while trying to look around the room to find the window, the ceiling, etc. Then, instruct children to stare at the “Drishti” visual cue in front of them. Count to see how much longer they can keep their balance. The kids are always so proud of their progress! Rebecca over at Dinosaur PT wrote a wonderful blog post about this. 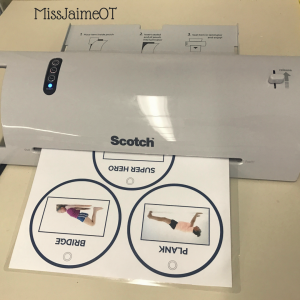 She suggests using foam shapes to show children where their body should be during each pose. This is particularly helpful when you are working with a group of children. Some children will always need more help than others, so having visual cues ready to go can be a big help! It builds endurance and helps children who struggle with motor planning to grow more comfortable with each position. Every yoga pose can be graded from easy to more difficult. Your students will learn the basics of each pose. Then, you can teach the next (more challenging) pose or step. Some children may succeed with the new pose, while others stay at the beginner level. That’s Ok, every pose is beneficial! Yoga is a wonderful activity for any classroom, regardless of the level of ability, age, or gender. 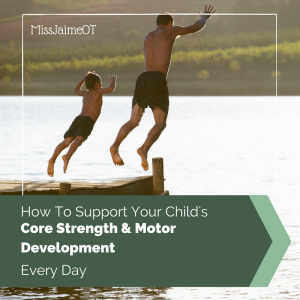 Work on physical skills like motor planning, strength, balance, and coordination while helping children to focus, follow directions, and self-regulate. Use the tips and tricks above to start teaching yoga to children. They work!